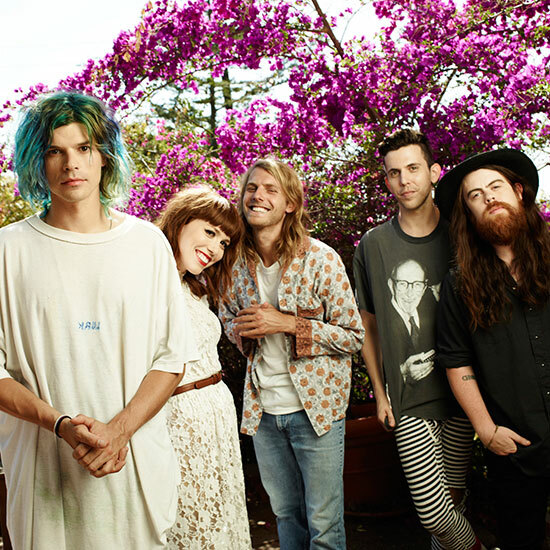 If you follow the pizza-filled Instagram account of the L.A.-based band Grouplove you might be surprised to find out that lead vocalists Christian Zucconi and Hannah Hopper both recently became vegans. Former omnivores, they bypassed vegetarianism and made the big jump straight to no dairy or eggs. It’s a lifestyle that jells perfectly with their recent Campus Consciousness Tour, a monthlong traveling village that invited college students to learn about sustainability. Despite the focus on healthy and sustainable eating, the band members haven’t lost their touring appetite. Here are five things they’d love to find waiting for them in the dressing room after every show. 1. Haymaker pizza from Blackbird Pizzeria in Philly. For a vegan pie this one is the best! It’s got seitan sausage, red onions, garlic butter, tomato sauce, Daiya cheese and fresh oregano. Not a good preshow meal, but definitely something to look forward to when you get off stage and want to frump out. 2. An authentic absinthe from 19th-century France. It would be really cool to travel back in time and get whatever Van Gogh was drinking. We want to sing like he painted. 3. Inflatable bouncy castle. Have you ever chilled in one of these? ’Nuff said. 4. Manuka honey from New Zealand. Not only does it treat infections and is antibacterial but it also heals the throat. This is already a must on our rider. We mix it with fresh ginger for our epic tea ritual.